The airline operating a flight that crashed into a Pacific lagoon on Friday in Micronesia says that one man is missing, after earlier saying that all 47 passengers and crew had safely evacuated the sinking plane. Air Niugini said in a release that as of Saturday afternoon, it was unable to account for a male passenger. The airline said it was working with local authorities, hospitals and investigators to try to find the man. The airline did not immediately offer any other details about the passenger, such as his age or nationality. 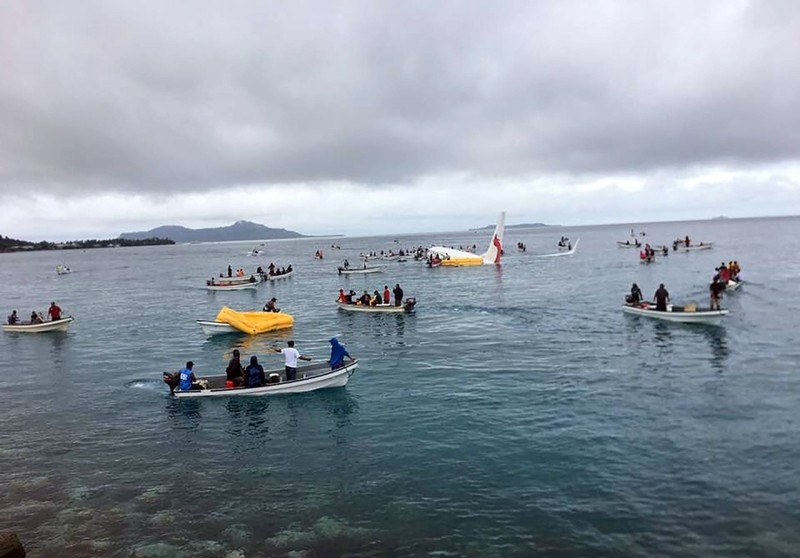 Local boats helped rescue the other passengers and crew after the plane hit the water while trying to land at the Chuuk Island airport. Officials had said earlier than seven people had been taken to a hospital. 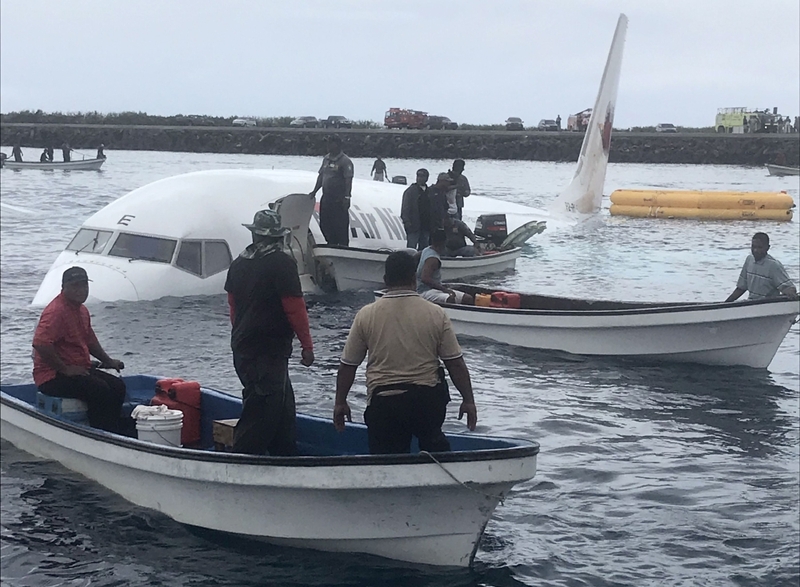 Passengers were forced to swim for their lives Friday when an airliner ditched into a lagoon after missing the runway on a remote Pacific island and immediately began sinking. 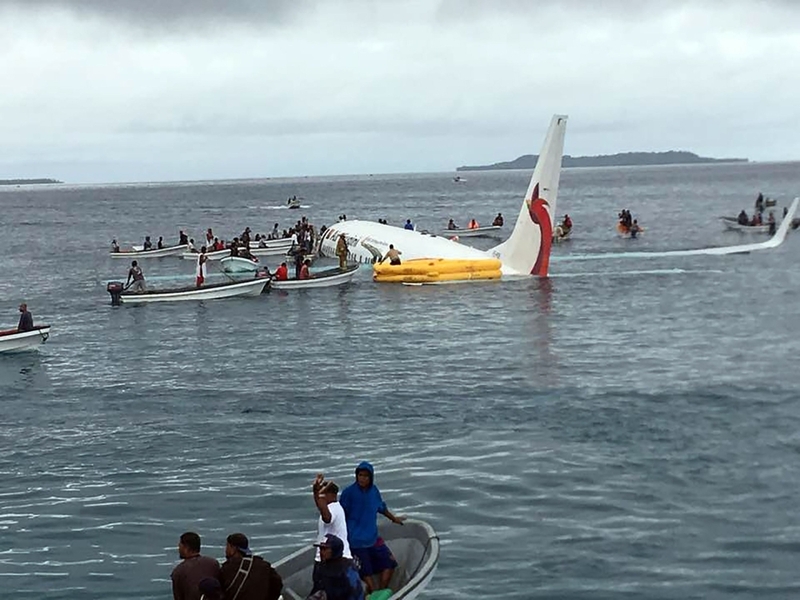 The Air Niugini Boeing 737 was attempting to land at Weno airport in Micronesia but ended up half submerged in Chuuk lagoon after the accident on Friday morning. Pictures and video posted on social media showed locals scrambling in small boats to rescue the passengers and crew as waters covered most of the aircraft's fuselage. The airline said the plane, which was making a scheduled stop on its way from the Micronesian capital Pohnpei to Port Moresby, had "landed short of the runway". Remarkably, it said there were no serious injuries. 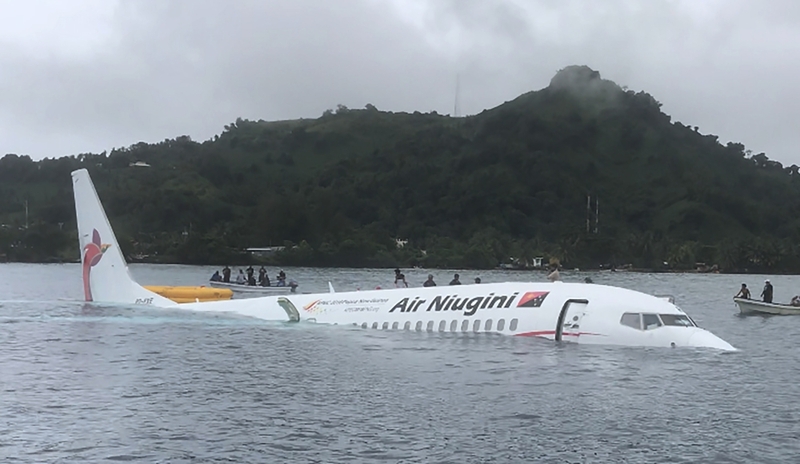 "Air Niugini can confirm that all on board were able to safely evacuate the aircraft," the firm said in a brief statement. "The airline is making all efforts to ensure the safety and immediate needs of our passengers and crew." It did not detail what caused the accident. Papua New Guinea's Accident Investigation Commission said it was preparing to send investigators to the accident site. "We're trying to arrange a team to go there but I cannot give you any more information because I simply don't have it," a spokesman told AFP. Pacific Daily News reported, citing airport official Jimmy Emilio, that all 36 passengers and 11 crew had been taken to hospital for check-ups. Air Niugini is Papua New Guinea's national airline.